I was given the wonderful gift of a day to spend with dear Lila today! 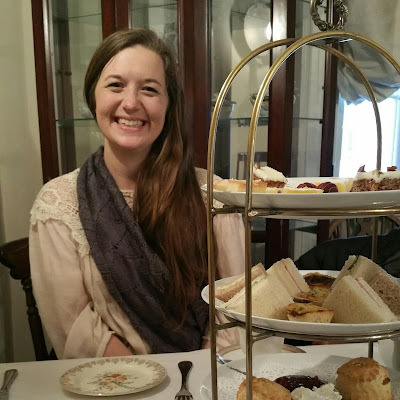 We met for tea at a historical tavern (built in 1737!) that serves afternoon tea. We decided to order what the tavern calls a Colonial High Tea. 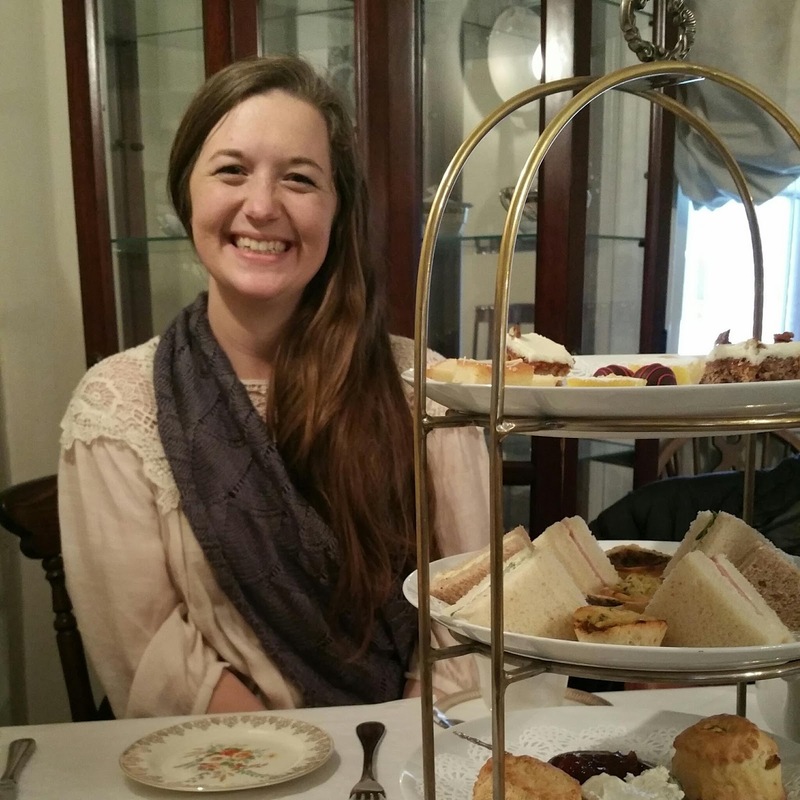 It included an individual pot of loose leaf tea (I chose one called Buckingham Palace Garden Party, which was a "delicate Earl Grey with jasmine notes"), a bowl of the soup du jour (green tomato) and an assortment of savory finger sandwiches, tarts, tea cakes and pastries. Everything was simply delicious and both Lila and I were charmed by the decor and mismatched china that we used for our meal. After our tea, we wandered around the city, browsed in a few shops (one of the highlights was a shop with a bookstore on one side and a yarn shop on the other), and talked, talked, talked! It was a wonderful day to recharge my batteries and enjoy the company of an inspirational friend who I am very thankful for! it is so wonderful to have days like this!!! I know very much how having a high tea with a dear friend can be so refreshing!!! so glad!!! I love Lila! I met her on Instagram and feel she has become a very dear friend who has offered me great parenting insights. This looks like a lovely time!